Padua, February 2017 – SAFILO, the fully integrated Italian eyewear creator, manufacturer and worldwide distributor of quality and trust, is present with its direction setting booth in Pavilion 1 at MIDO 2017, the world’s largest and most prestigious optical fair from February 25th to 27th at Fiera Milano. The SAFILO team, led by its CEO Luisa Delgado and her executive team, will welcome also this year eyewear retailers from across the world at its exclusive MIDO booth. This year, very specially, they will also celebrate with SAFILO’s more than 50 exclusive partners the launch of its Global Partner Network, where these certified partners representing SAFILO exclusively in more than 70 worldwide countries, come together to build SAFILO’s presence and market share to the highest quality standards across selected countries worldwide. SAFILO Artisans from its world renowned Padova Atelier will showcase SAFILO’s extraordinary tradition of eyewear craftsmanship dating back to 1878, blending savoir-faire, passion and dedication with cutting-edge technical solutions and state-of-the art production technology for the creation of truly unique pieces of eyewear. Showcasing the Atelier tradition of handmade eyewear, SAFILO Artisans will create unique frames, chiselling every element with care and attention. SAFILO’s partners visiting the stand will be engaged in a special experience to actually handcraft a product assisted by our Artisans. SAFILO is proud to present the first Digital Museum in the world entirely dedicated to eyewear and the history, technology, and everlasting charm of our industry. It represents an important inspiration for the company’s corporate vision, excellence and long-term values, which SAFILO wants to share broadly. The digital museum is designed for global smart-visitors, customers, scholars, researchers, and all who are curious about the history of the customs of eyewear and the industry evolution. GalleriaSafilo.com is a Cloud-based digital project that allows visitors to discover, experience and share the wonder of a museum visit from the preferred device, leveraging social networks with intuitive features and language. Following the resounding success at CES 2017, the Consumer Electronics Show in Las Vegas, SAFILOx is now shown at MIDO. SAFILO has used its legendary product savoir-faire to combine an iconic high quality sunglass product with leading brain wave sensing technology integrating Interaxon’s Muse brain-sensing technology into the popular and stylish Smith Lowdown frames. It delivers cognitive training technology via seamlessly integrated and beautifully designed eyewear that wearers can sport every day. Unique experience guaranteed (by appointment). We have built a special corner for our visitors to live the Instant Experience through a kinetic interactive window. It allows you to enjoy the bright colours of life instantly – with no glare and distortion-free vision. The Polarized Lenses of Polaroid sunglasses, the inventor of polarization technology, allow wearers to enjoy bright colours with unique benefits: glare-free vision, clear contrasts, perception of natural colours, reduced eye fatigue and 100% UV protection. 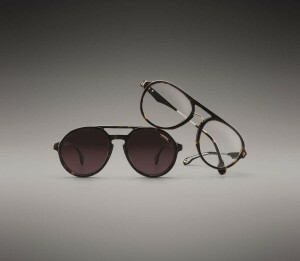 Carrera has always been in pole position with its innovative daring spirit. At our booth, we showcase its breakthrough sun and optical collections, and the new campaign featuring the Academy Award Winning actor and recording artist Jared Leto, photographed by the iconic photographer Terry Richardson in confident and audacious shots that perfectly showcase our legendary Eyewear brand, since 1956. The newest sunglasses, starting from the SS17 collection, feature exclusive RED HD Lenses, which upgrade the polarization benefits: their particular colour boasts a high-contrast and anti-reflection treatment, which allows colours to be seen in a much more vivid way, to filter the blue light and to convey eye relaxation, thus ultimately prevent eye aging. The new OXYDO sunglasses collection will be showcased to selected clients. Pioneering a synthesis of design, art and innovation, Oxydo brings to life extraordinary Wearable Sculptures, deeply engrained in modern art. Its continuous drive for research and experimentation encompasses special collaborations with the most unique talents of the contemporary art scene, and mixes inventively Crafted in Italy, advanced technologies such as 3D print, and Architectural constructions. The SMITH eyewear collections will show the newest styles incorporating Chromapop technology, optimized performance and clean styling to fuel fun beyond walls. Smith seeks to power thrilling experiences in snow, surf, bike, fish and peak performance outdoor adventures with a comprehensive collection that exudes modern style and vibrant personality. Chromapop Lenses filter light at two specific wavelengths to eliminate colour confusion to the brain while providing a sharper, easier and faster visual experience. In a dedicated secret room within the SAFILO booth, the SAFILO branded eyewear collection, launching in Autumn 2017, will be unveiled to selected clients and optical trade editors. With this collection, SAFILO the company will put its name on SAFILO the optical collection, renewing its long-standing heritage of outstanding technical and aesthetic content, with optical frames which celebrate the superior design, functional innovation, and the “Made-in-Italy” know-how for which the brand is globally recognized (by appointment). Launched in early 2016, ‘A Forward Vision for Eyewear Heritage’ is the first tutoring and mentoring project in the Eyewear world, signed by SAFILO and powered by L’Uomo Vogue. Eight finalists selected from students, graduates and designers who applied from across the world, have reinvented with originality their eyewear through a creative project that combines heritage and innovation. 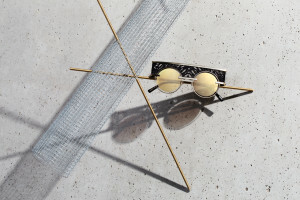 Leveraging the MIDO eyewear trade fair and in conjunction with Milan’s Women’s Fashion Week, the finalists’ projects will be exhibited at SAFILO Milan showroom: eight original creations with a strong aesthetic component and a perfect balance between past and future. The exhibition will be open to visitors from 22nd to 27th February, from 9:00 to 18:00 at SAFILO Showroom (Via Manzoni 38, Milan). On Saturday 25th February, there will be a special opening from 18.00 to 20.30 in the presence of Luisa Delgado, CEO of Safilo, Vladimiro Baldin, Safilo’s Chief Product Design & Creation Officer and Marcel Wanders, honorary member of the panel of judges (interview slots: Saturday, February 25th from 18.00 to 20.00). SAFILO will host an event dedicated to the female leaders in the optical industry, bringing together its female partners from across the world in a networking event with its own female leaders. This reflects SAFILO’s corporate commitment to promoting female development in the Eyewear Industry, and networking across the globe. Danda Santini, Director of Elle Italy, will co-host the event with Safilo’s CEO Luisa Delgado, and will speak about women’s empowerment in fashion (by invitation). Safilo Group is the fully integrated Italian eyewear creator and worldwide distributor of quality and trust, leader in the premium sector for sunglasses, optical frames and sports eyewear. 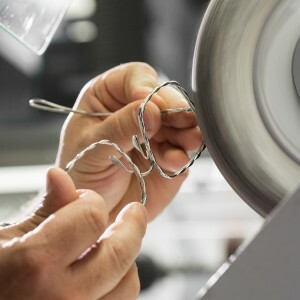 Design inspired and brand driven, Safilo translates extraordinary design into excellent products created thanks to superior craftsmanship expertise dating back to 1878. With an extensive wholly owned global distribution network in 39 countries – in North and Latin America, Europe, Middle East and Africa, and Asia Pacific and China – Safilo is committed to quality distribution of its products all around the world. Safilo’s portfolio encompasses Carrera, Polaroid, Smith, Safilo, Oxydo, Dior, Dior Homme, Fendi, Banana Republic, Bobbi Brown, BOSS, BOSS Orange, Céline, Elie Saab, Fossil, Givenchy, havaianas, Jack Spade, Jimmy Choo, Juicy Couture, kate spade new york, Liz Claiborne, Marc Jacobs, Max Mara, Max&Co., Pierre Cardin, Saks Fifth Avenue, Swatch, and Tommy Hilfiger. Listed on the Italian Stock Exchange (ISIN code IT0004604762, Bloomberg SFL.IM, Reuters SFLG.MI), in 2016 Safilo recorded net revenues for Euro 1,252 million.